Delaying start of contact and collision sports. All seven present challenges, suggesting that adopting an "all-of-the-above" approach is likely the best way to reduce the risk to youth and high school athletes from brain injury, both in the short- and long-term. A 2009 study  found that high school football players are at greater risk for concussive events in part because they haven't learned how to tackle correctly. The finding by researchers in a 2014 study of impact locations in high school football players suffering concussions  that players had their head down at the time of impact in a higher proportion of concussions caused by top-of-the head impacts (86.4%) than concussions from impacts to other areas of the head (24%), likewise led the authors to recommend improved teaching of "heads-up" tackling. Coach Bobby Hosea teaches a heads up tackling technique he calls "Dip n' Rip" in which a defensive player stops the ball carrier with an upward thrust across the chest and shoulders, not by leading with his helmet. Hosea, whose technique is the basis for USA Football's "Heads Up Tackling" program, and who demonstrates his approach in MomsTEAM's PBS documentary, The Smartest Team believes that widespread adoption of a standardized approach to tackling might eliminate up to half of concussions in youth and high school football. Sports concussion neuropsychologist, Rosemarie Scolaro Moser, Ph.D., another MomsTEAM expert featured in The Smartest Team, agrees. "A big consideration in all high risk sports is that at whatever age the youth transitions to contact or collision, whether 12, 14, 16, or 18 years of age, youth athletes will need to be trained to engage in safe, proper contact," she says. "Otherwise, lack of a proper program of training safe contact skill development will essentially defeat the purpose of setting an age designation. That means we will need educated coaches to teach safe and proper skill contact development in practices, so that when the youth athlete transitions to game contact, he or she will be ready, at any age. We know that kids' brains are vulnerable, that youth concussion is a public health problem, and that the effects of concussion can be devastating. We also know that sports can play an important role in a child's overall development as a person. The question is, 'Can we provide the resources and support necessary to make all youth sports safer, whether the sport is considered a collision, contact, or noncontact sport?'" Teaching hockey players how to absorb body contact is something expert groups, like the American Academy of Pediatrics, recommend as a way to reduce the risk of brain injury in the sport, which, at the high school level, has the second highest concussion rate next to football. A 2010 study  found that teaching players to anticipate body-checks may reduce the youth ice hockey concussion risk. The study focused on body position prior to collision (good anticipation, poor anticipation, and unanticipated), collision location (open-ice or along the boards), and the magnitude of rotational and linear forces to the head sustained in collisions. Sixteen male, Bantam-level ice hockey players wore standard helmets fitted with special sensors, which sent data through a telemetry link. The researchers found open ice collisions resulted in a statistically significant increase in forces to the head compared to collisions along the boards. Most importantly, players in the "ready" position who anticipated collisions, e.g. those whose knees and trunk were flexed with feet shoulder-width apart, who used their legs to drive their shoulders through the body check - suffered significantly less severe impacts to their head during collisions. Youth athletes participating in collision sports, such as hockey, are at particular risk for concussions. 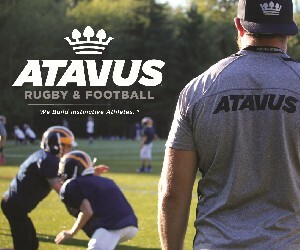 Skill development is often limited, because parent volunteers frequently serve as coaches and lack the expertise necessary to educate athletes on proper collision techniques. The study's authors recommended that hockey coaches possess the necessary training and certification to ensure safe player development by teaching young hockey players to anticipate collisions more effectively, including spending time during practices educating players on how to deliver and receive body collisions in all areas of the ice, including along the boards and in open ice, and continuing to teach them the "ready" position and to "skate through the body check", as encouraged by USA Hockey and has long been taught by coaches to young players in the United States and other countries. Coaches should practice game-related drills with full contact to help players to adapt to constantly changing conditions during game play, including "small games" drills, which emphasize high speed, quick movements, and game-related tasks (e.g. passing, shooting, and checking) in small, confined spaces (i.e. corner of the rink). Such drills are "excellent at forcing athletes to play with a heightened sense of awareness that allows them to anticipate incoming body collisions. As MomsTeam blogger and longtime Minnesota hockey coach, Hal Tearse, puts it, "Coaches need to do a better job of teaching players the right way to body check and how to absorb contact. It cannot be taught in a two-day clinic; it needs to be an important part of regular practices, and consistent messaging from coaches to players is required. The language we use needs to change, Instead of 'hit him', maybe words like &quot;zero gap', 'take him', or 'box him/her out' might be better. Language is a funny thing in that words have power and meaning beyond what might be intended. Coaches need to choose their words carefully with young people." The importance of "heads up" play and of teaching lacrosse players to take a heads up approach, as is being done in boys' hockey and football, was emphasized by the authors of a 2013 study  finding that the principal cause of concussions in boys' high school lacrosse was the widespread and intentional use of helmets during player-to-player contact, often to defenseless players, and usually without a penalty being called. Lead author Andrew E. Lincoln, ScD, MS, Director of the Sports Medicine Research Center, MedStar Health Research Institute at Union Memorial Hospital in Baltimore, said the 2010 youth hockey study  reporting on the importance of heads up play may "suggest ways to help decrease the incidence of concussions in boys' high school lacrosse" by emphasizing the "importance of situational awareness and readiness for contact ... to players, coaches, and officials."